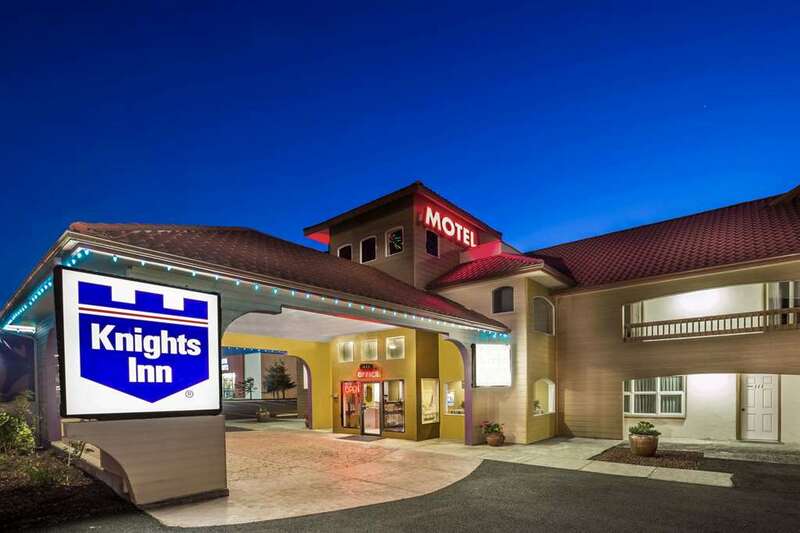 Conveniently located off the Oregon Coast Highway, Knights Inn Newport hotel is a great value. Our Newport, Oregon, hotel is near Historic Nye Beach and offers free Wi-Fi Internet access in our public areas and free parking. Microwaves and refrigerators are included in all rooms, and handicapped-accessible accommodations are available. Kids 17 and under stay free with an adult. There is something for everyone near our Newport, Oregon, hotel. Visit Ripleys Believe It or Not, a modern-day sideshow, and prepare to be amazed by the incredible displays. Explore the depths at the Oregon Undersea Gardens, which features an underwater theater and several dive shows that offer a unique look local marine life. Then, continue to discover coastal and sea creatures with a trip to the Oregon Coast Aquarium. Visit celebrities, mystical creatures and more at The Wax Works, a wax museum with a large collection of life-like cultural icons. Check out Yaquina Bay Lighthouse, a beautifully preserved piece of coastal history. Historic Nye Beach features a charming small-town feel, a variety of shops and a pristine sand beach. There are several restaurants within walking distance of our hotel in Newport, Oregon. Take the short walk to grab a tasty slice at Figaros Pizza or Cobblestone Pizza. Sit down to dinner at The Champagne Patio, a wine bar with casual dining and a relaxed atmosphere. Chalet Restaurant and Bakery, and Sizzler are nearby. For a quick and easy meal option, grab a bite to eat at Subway, Burger King or Taco Bell. The famous Rogue Brewing is only a short distance away as well. Our Newport, Oregon, hotel features a business center.